Marge, sooooo off-topic, please behave! Bender: Ah, it's the closest i could find! I'm bloody sick of you Marge can someone kick her out if she curses again. It doesn't quite work like that. There was a PEELer/s called sex_man/sex_god. Now they were worse. Has anyone here noticed that every time we send there's like 3 new posts we havent seen. Please grow up. Have a problem in the chat, keep it there. My God! Information, freedom of speech, international communication, what happened to my beloved Internet. That was no joke and Marge stop posting nothing so you can move up! Fry: Professor, stop hogging the PC! Professor: Just a second, just a second, if i click here she'll take off her top! 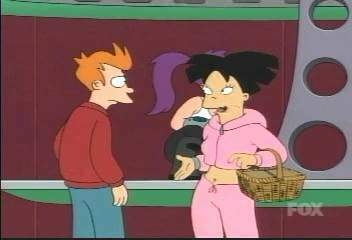 Fry: Hey, they said this was worth $9.95! "look all i'm saying is get a bloody job". Amy: "I need to use the internet". Fry: "And I want to go on peelified". Farnsworth: "just a second just a second". You know you don't have to post twice in a row clamps. There is an edit button, y'know. 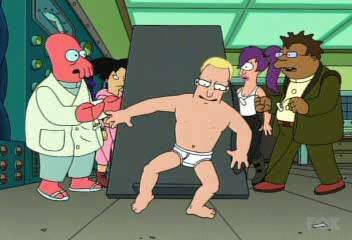 Farnsworth: Fry Amy I'm not getting off! "Curse you, Bill Gates's head! Curse you and your vile little paper-clip man!" 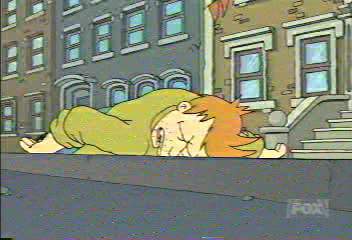 Fry: [yelling in the background] "Hey guys, the refrigerator magnets are OVER HERE." 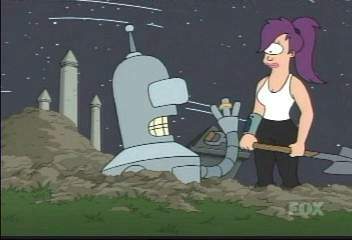 Bender now quickly realizes what it takes to play the blues. Bender: "Don't you humans start with an engagement ring...'Cause if you do, i don't see one in here." 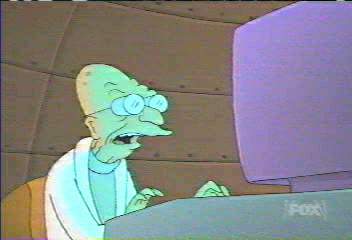 Farnsworth: So they're in there playing internet games on my phonebill! Well, we'll soon see about that, oh my yers! 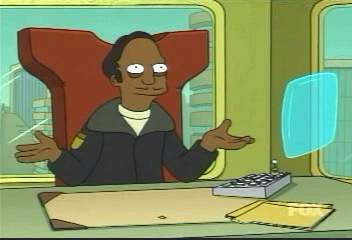 Bender: Pfft, you should be flattered that I considered you good looking enough to post a naked picture of! Leela thinking: Well what's she got that I haven't!?! Bender: The colours Frybaby, ooh the colours!!! 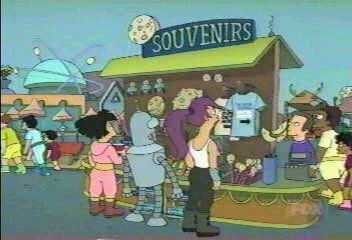 Bender: Look, if you plan on killing your fiancee, at least plan ahead so you remember to remove his valuable jewelry before you bury him! I'm missing All My Circuits helping you out! 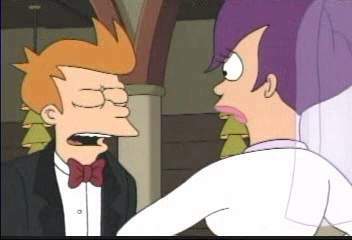 While Fry contemplates his Future, he suddenly realizes the importance of vagrency laws. 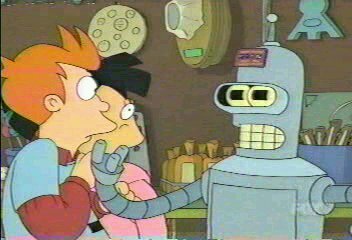 Fry: "I told you that things would have gone alot smoother if you had introduced me to your father. But nooo... you had to be a orphan." Imagining the deadly weapon in Amy's picnic basket; Fry fears that he will be the next Chandra Levy. Farnsie: "So they laughed at me at the imventors symposium, huh? We'll see who have the last laugh! Now where are my nuclear access codes?" (Leela thinking) "So that's why Amy wanted to go online, to brag about this. Well, time to tell little miss I-got-such-a-fabulous-body-and-get-all-the-hot-guys about LeelaNaked.com, and the 475676 hits last month." "Duuuude, my hands are huuuuuge! There you go Margarita. You made a space between the [img] tag and the URL. Also URL's in the image tags are case-sensitive. My pupils have been dilated!